An updated network of playgrounds is an important part of a contemporary living environment, one that supports the health and safe development of children and adults alike. There are around 600 playgrounds in the administrative area of Tallinn, of which 342 are open to the general public. The rest of the playgrounds are either privately owned or located within the premises of educational institutions. You can find your nearest playground from the map of the playgrounds in Tallinn. The map shows all public playgrounds, with pictures and general information provided for each playground. It also includes an option for submitting any proposals and issues concerning the playground to the Tallinn Environment Department. Before taking their child to the playground, each parent must make sure that the playground is safe for their child. For this, the Consumer Protection Board has issued an information booklet for parents, Using the playground safely (est), providing instructions on how to inspect the playground before using it and how to behave at the playground. The structures on the playground are intended for people of different ages. Before using the structure, it is necessary to make sure that the structure is appropriate for the user. There are activities available for all ages in the family playgrounds. They also provide options for the elderly to improve their exercising habits. 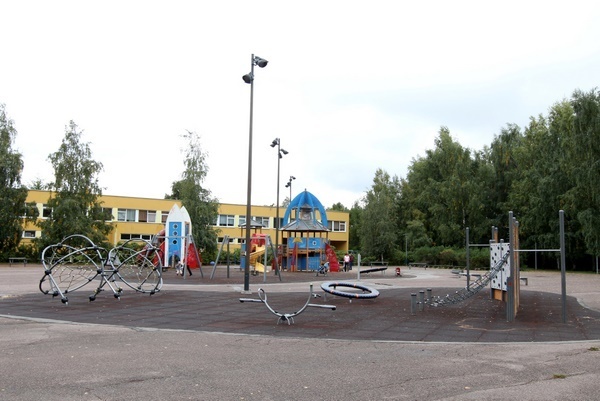 For this, they can use the open-air gyms in the family playgrounds or the three-generation exercise equipment in Tondimõisa Park, the family playground at Vormsi 5 and Männi Park. In the article published in Postimees (est), Janika Koch-Mäe, head trainer at the Sparta Gym, provides an introduction to the opportunities provided by an outdoor gym, and different videos for training in the outdoor gym can be found on the website of MTÜ Liigutame. In 2012, the first parkour training ground for adolescents opened in Tallinn, at the Skåne Bastion, at Rannamäe tee 11. The parkour training grounds are suitable for anyone interested in learning parkour, from the age of ten until old age. No one has to fear that they will not have what it takes, as it is possible to practice all the moves according to one’s individual abilities and skills. How to get started with parkour? Parkour can be learned with the help of a virtual coach on the training grounds, which can be activated with the QR codes located on the elements of the training grounds and the information stands. To use the virtual coach, you need to activate the QR code reader in your smartphone, and point the phone’s camera towards the QR code on the information stand or the element, after which the instructional video by the parkour academy will appear on your phone’s screen. The videos can be used to master all of the structures, learning to perform various stunts on them. All of the videos have been uploaded to YouTube, where they can be accessed at any time. The construction and maintenance of playgrounds must be based on the European Union standard that has also been adopted by Estonia. EVS-EN 1176:2008 applies to the playground structures and EVS-EN 1177:2008 to the safety surface beneath the structures. The Tallinn Environment Department commissions the maintenance of equipment on public playgrounds, and city district administrations are responsible for keeping playgrounds in order. The Tallinn City Council has adopted the “Action Plan for the Development of Public Playgrounds in Tallinn 2011–2016” for the systematic development of public playgrounds. The action plan lists the principles for the construction and maintenance of playgrounds on city property.